An understanding of refrigeration will help all those who come into contact with refrigeration systems and equipment. This course is ideal for junior apprentices and non technical or sales personnel in commercial or industrial sectors using refrigeration or air conditioning. 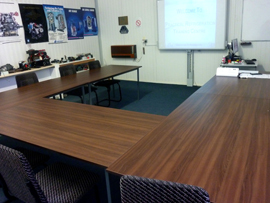 This course can also be run on site where companies have suitable facilities and a number of personnel requiring training. To attain a basic understanding of the principles of refrigeration and a profile of the Refrigeration and Air Conditioning industry. The topics will be covered using a combination of presentations with good quality visual aids and practical sessions on real working systems.